Would you make a good clinical nurse specialist? Take our career test to find out how you match with this and over 800 other careers. What is the workplace of a Clinical Nurse Specialist like? Healthcare providers are constantly looking at ways to make the best quality healthcare widely available. One strategy is to rely more heavily on highly skilled advanced practice registered nurses, such as clinical nurse specialists. Clinical nurse specialists work to improve patient outcomes by using theory and research to further the success of nursing systems. This career is categorized as an advanced practice registered nurse (APRN) role because it requires a master's level education as well as clinical training. Clinical nurse specialists (CNSs) provide care to patients in one of many specialties, such as geriatrics, pediatrics, oncology, and emergency care, to name a few. When working directly with patients, they implement treatment plans in order to find a solution to medical or psychiatric issues. Clinical nurse specialists may also work as consultants by helping other health professionals to improve patient care. These nurses play a leading role in developing guidelines and protocols, providing support and consultation, facilitating system change, and promoting the use of evidence. The clinical nurse specialist engages directly with patients in a variety of settings, including private practice, acute care, or community clinics. They often work with other nurses and help to modify a plan of care to comply with evidence-based recommendations. Clinical nurse specialists use evidence-based practices within the daily operations of the nursing professionals. They bridge the gap between everyday clinical practice and state-of-the-art science by taking research and utilizing it practically. Instead of resorting to habit or tradition, the clinical nurse specialist mentors nurses and helps them to start using practices based on the latest scientific research and serves as an advocate for positive change. As the complexity and cost of the health care system continues to increase, clinical nurse specialists work to influence the future of healthcare as a whole. 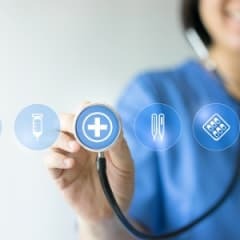 They provide a cost-benefit analysis of new medical products, interventions, and programs, and analyze preventative protocols that can reduce costs to both patients and their payers (be it Medicare or insurance providers). Are you suited to be a clinical nurse specialist? Clinical nurse specialists have distinct personalities. They tend to be enterprising individuals, which means they’re adventurous, ambitious, assertive, extroverted, energetic, enthusiastic, confident, and optimistic. They are dominant, persuasive, and motivational. Some of them are also social, meaning they’re kind, generous, cooperative, patient, caring, helpful, empathetic, tactful, and friendly. Does this sound like you? Take our free career test to find out if becoming a clinical nurse specialist is right for you. 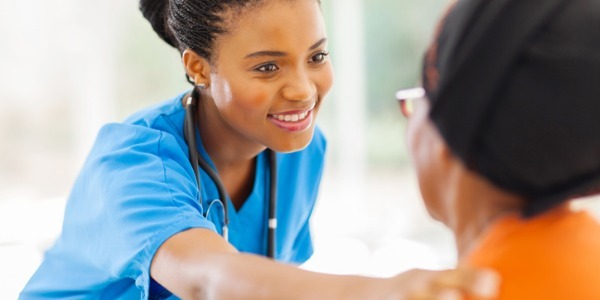 As the need for highly skilled healthcare workers continues to grow, employers are often looking for the expertise that trained clinical nurse specialists have to offer. Their knowledge and judgment assists with providing quality patient care by holding others accountable for maintaining high standards. Clinical nurse specialists work in inpatient hospital settings, physician's offices, outpatient care centres, colleges and universities, community centres, laboratories, and other health services offices and facilities.